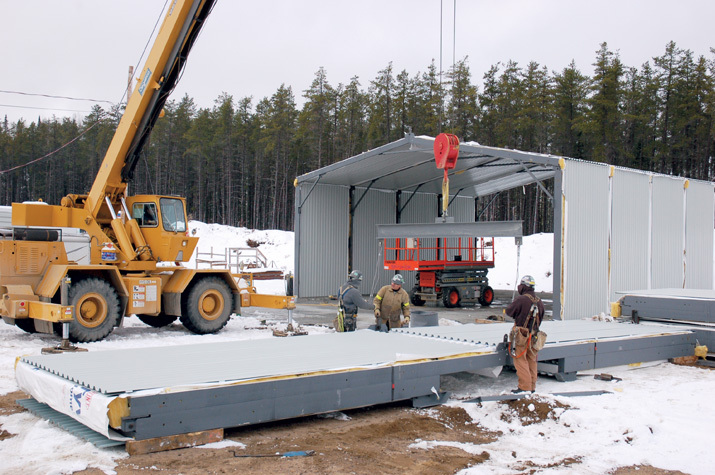 The Econox portable system is composed of wall panels and a pre-assembled roof, either insulated or non-insulated, which can be erected on simple foundations, by a small crew and a light telescopic crane. 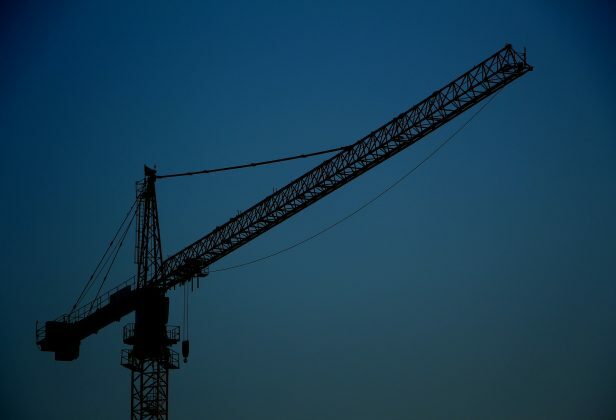 This construction system allows you to erect, enlarge or relocate buildings in only a few hours, while providing substantial savings. 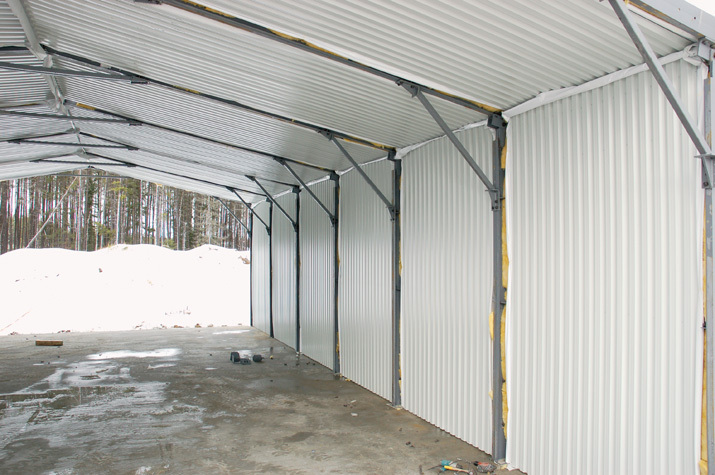 The Econox building is known for its sturdiness and continuous airtightness even after several locations. The Econox system allows delivery and installation of the building envelope to be completed in record time, providing substantial savings. 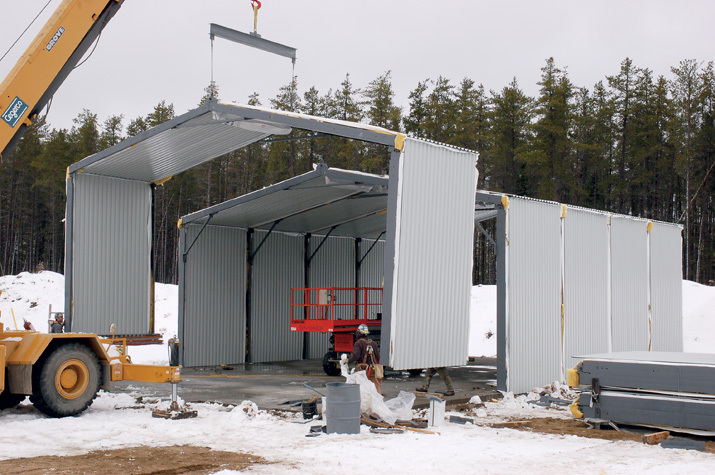 A 40 ft x 60 ft (12 m x 18 m) building can be installed in 48 hours, and dismounted, relocated and reinstalled within the same week. Wall and roof panels are delivered on site assembled and folded. 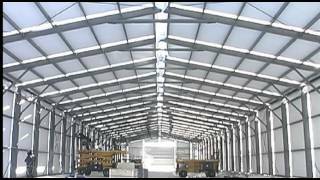 Sections are then unfolded by using light lifting equipment. The four-panel section is placed on the foundations. 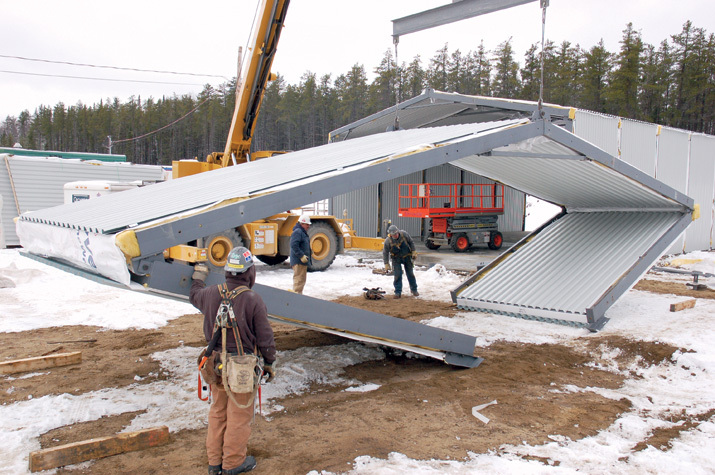 Only one day is needed to install six sections to form a 40 ft x 60 ft (12 m x 18 m) building. The panels are bolted together and the knee braces are attached to the panel framing. At the end of the first day, all sections are installed. During the second day, the end panels will be assembled and the interior caps will be sealed and installed. 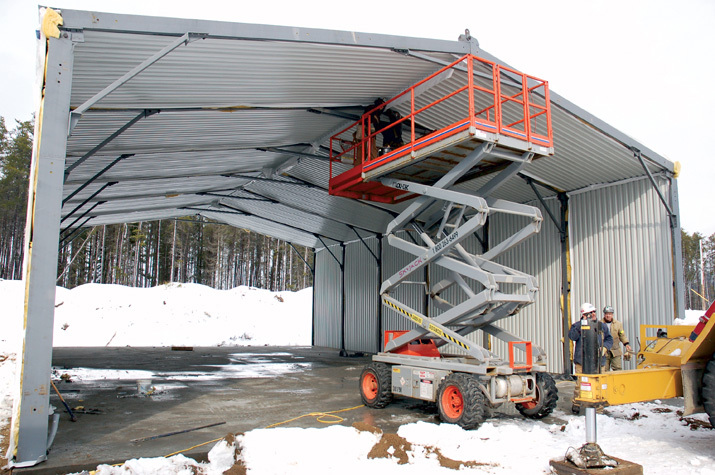 View the video showing the benefits and ease of installation of the Econox building. 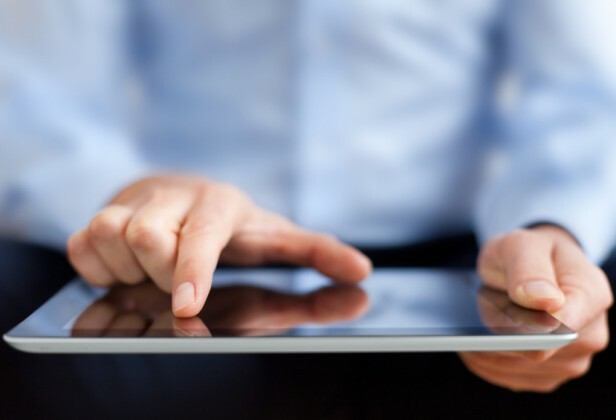 You have a specific question?